1/32 - Sukhoi Su-33 "Flanker-D" by Tanmodel - 3D renders+box art - release in 2019 ? 17 years ago I emailed Flankerman and asked if he had any pictures of the 1988 Su-27M/Su-35 prototype that was later left at Monino. He very kindly got back to me with a goldmine. The reference photos he sent me were a game changer as he had discovered the disruptive scheme was mirrored underneath and had a bundle of photos to illustrate it. I loved the Ferris like camouflage but also the new Su-27M nose profile with the traditional cropped fins as later Su-27Ms had the squared tips. I did all the hard work expected of an Academy and Sol conversion way back then and put it away; it sat in the box (with the occasional peeks) until this year. I've made a real effort to finish unfinished projects and clear the stash a bit. I'm pleased to say it's the last 1/48 Academy for me (7 built)! I'm now looking forward to all the newer companies much improved kits. Colors were mostly AKAN mixes, Neomega cockpit, Eduard etched details, DANmodels intake covers, Armory wheels and one of Haneto's (Fairy-Hobby) beautiful corrected canopies. The decals were from Begemot except for the stars which were hand made. v My two favorite Flankers in real life and in scale. I spent the last few days repairing my Su-37 Terminator so I could take a photo like this one of 711 and 701 together. a I may as well go for the hat trick to finish. Hi all! Well, it's that time again... Another finished project! This time it is the 1/48 Hobby Boss Su-30MKM Flanker-H conversion from the base Su-30MKK kit using the Naza Model Art MKM conversion. The build WIP thread can be viewed here: The Su-30MKM is the Malaysia specific variant of the Su-30, based off of the Indian Su-30MKI. It has canards and thrust vectoring exhaust in common with that aircraft, however there are many things that make the MKM unique among Flankers. 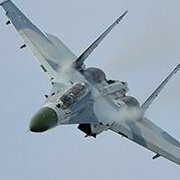 It utilizes western avionics from France and South Africa, and many feature not seen on other Flankers. The twin-seat canard Flankers are among my favorite aircraft, however there is no kit in 1/48 of these variants (Su-30SM/MKI/MKM/MKA). Thankfully, the somewhat recently released Hobby Boss Su-30MKK gets you close, and the Naza Model Art conversion kit gets you ALMOST there. I also needed to do some scratchbuilding of the IFF "bird slicers" and a few other little things. I also need thrust vectoring nozzles, so for those I used the AMUR Reaver TV nozzles, which are really nice. I also used Fishbone Decals for the decals. The Hobby Boss kit is really quite nice. Great detail, and the fit is nearly perfect. Easy to build, it is really a simple kit. There are some inaccuracies in this kit, but they do not bother too much. The Naza resin is very nice, and fit the kit quite well once the necessary plastic is removed. This was my first conversion I have attempted, and I must say I was quite apprehensive about attempting it. But I decided to just dive in and do it, and came away relieved. I actually enjoyed it, and am glad the conversion parts fit well. I am no longer afraid of doing another in the future. 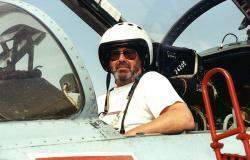 I also used a Master Model Pitot, L'Arsenal Damocles Pod, and NeoMega Ejection Seats. There are a few small inaccuracies with this build, mostly with the cockpit IPs. But overall it is pretty close. Kit: 1/48 Hobby Boss Su-30MKK no. 81714 Decals: Fishbone Su-30MKM Royal Malaysian Air Force Aftermarket: Naza Model Art Su-30MKM Exterior Conversion Set, A.M.U.R. Reaver Thrust Vectoring Nozzles, L.Aresnal Damocles Pod w/Nahar Pylon, NeoMega K-36DM Seats, Master Model Pitot Tube Paints: Gunze Mr. Surfacer Black 1500 (main aircraft primer base), ﻿Tami﻿y﻿﻿a Liquid White Primer (for m﻿arble c﻿oat)﻿﻿, Mr Paint MRP-090 Lemon-Gray Russian aviation primer and MRP-181 Light Gray, Gunze Aqueous H335 Medium Seagray, and H331 Dark Seagray , Tamiya Rubber Black, Clear Blue, and Clear Yellow, Gunze Mr Color GX2 Gloss Black (gloss black primer for metalwork) and Alclad II Airframe Aluminum, Pale Burnt Metal, and Burnt Iron. Future Gloss coat for decals and Future+Tamiya XF-21 Flat Base 6:1 ratio for final matte coat. Mig Ammo Deep Gray panel wash. On to the pic... Hope you like! Hi all! I present to you my latest project, the 1/48 Kitty Hawk Su-35S Flanker-E, "Red 08" in the unique Eggplant Dark Gray scheme of the Russian Air Force, circa 2014. This is really a great kit that has excellent fit almost everywhere, with the wing joins being the notable exception. The kit is not without other issues, however. The exhaust nozzles are molded in the straight position which would only be correct for a powered up machine, not drooped at rest. The stinger tail has flare boxes on the top, which is only correct for the prototypes and early production aircraft. Luckily for me, I wanted to do an early production Eggplant Gray aircraft so the stinger tail is correct OOB for my build. If one wants to do a current in-service aircraft, this would not be correct. Aftermarket used were the AMUR Reaver thrust vectoring nozzle to fix the droop issue, and Begemot Decals. The Begemot Decal sheet includes all the needed stencils for both the aircraft and weapons. The weapons are all OOB, and they are very nice, although I am no expert on the real ones, so I cannot comment on accuracy. But they look pretty accurate to me. I think this kit includes pretty much every Russian missile, bomb, and rocket pod currently in use. This will be a nice addition to my weapons bin ( The KH Fitter was the same way, so I am set with Russian Ordnance for a while!) I used copper wire for the static wicks, some thin scrap parts for the 4 straight probes near the nose cone, and a piece of scrap clear sprue to simulate the interior of the IRST. So, one of the things I really wanted to concentrate on this build was the metalwork. The real aircraft have an amazing array of colors from the heat-stressed titanium, and I am quite pleased with how that turned out. It does look a bit exaggerated in some pics, but in person the look is about perfect. The AMUR Nozzles are quite nice and are easy to remove from casting blocks, clean up, paint, and assemble. Very happy with these. I really enjoyed building this kit, and recommend it to everyone. I know the GWH Su-35 is coming, and I will be getting that one as well to do a blue camo in-service jet. But for someone wanting to do the splinter camo prototype or an early batch Eggplant jet, I would say get this kit. Hope you enjoy! Kit: 1/48 Kitty Hawk Su-35S Flanker-E Decals: Begemot 48-039 Su-35 "New Generation of the Flanker" Aftermarket: A.M.U.R. Reaver Thrust Vectoring Nozzles Paints: Gunze Mr. Surfacer Gray 1200 (main aircraft primer base) and Mr. Surfacer Black 1500, Akan Sukhoi Cockpit Blue-Gray, Mr Paint MRP-205 Eggplant Dark Gray, MRP-196 Light Blue, and MRP-032 Green for Wheels, Gunze Aqueous H305 Gunship Gray and H308 FS FS36375 Light Ghost Gray , Tamiya Rubber Black, Clear Blue, and Clear Yellow, Gunze Mr Color GX2 Gloss Black (gloss black primer for metalwork) and Alclad II Hot Metal Violet, Airframe Aluminum, Gold Titanium, and Jet Exhaust. Future Gloss coat for decals and Future+Tamiya XF-21 Flat Base 10:1 ratio for final matte coat. Mig Ammo Medium and Deep Gray panel washes. After the Su-34 "Fullback", Kitty Hawk is to release a 1/48th Sukhoi Su-35 "Flanker-E" kit - ref. KH80142 Source: http://www.kittyhawkmodel.com/copy-of-kh80141 V.P. Hi all! So I have been working on the new Kitty Hawk Su-35S and thought I would share my build experience here since I have not seen any others being built elsewhere. I know the GWH Su-35 is coming, but this really looks like a nice kit, and is correct for the version I want to build. I will be getting a GWH Su-35 though, it looks really awesome too, and build a Syrian service jet some day. I plan on doing the Eggplant first production batch, so this kit is correct with the stinger configuration. I am also using the A.M.U.R. Reaver exhaust nozzles, which are fantastic. Also will be using Begemot Decals. So here we go!